Surf Bay run three holiday parks across Devon and Cornwall. They are using GemaPark to provide online booking and park management at each of the parks while allowing head office access to oversea all the activity. Their websites use the GemaPark API to integrate live availability, online booking and payments directly into the websites in their own custom booking process. 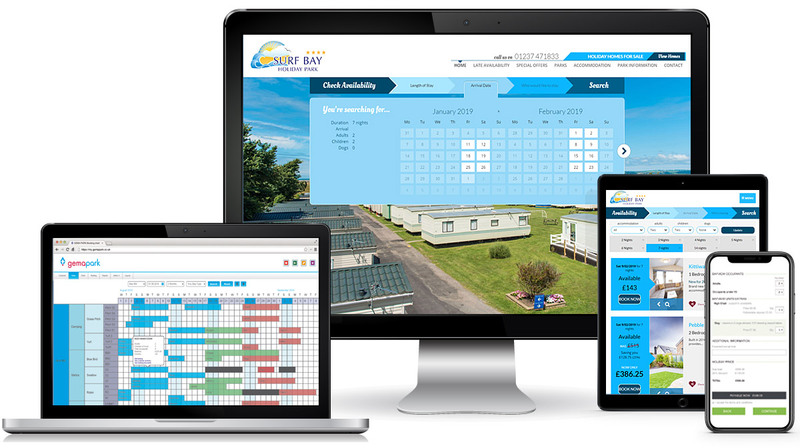 BRIEF: To provide a booking and park management system that catered well for hire fleet, holiday sales and promotions and allowed easy management across all three parks.